Hey readers! Today I wanted to introduce two friends that I luckily met through the wonderful book world. Primarily we are coworkers at a book store, but with that, came the fact that we are all passionate about reading! Both of them have amazing talents and I'm proud to call them some of my greatest friends, so when we decided to start a monthly book club I knew it was going to be a series on my blog as well. Welcome to the TDH Book Club! 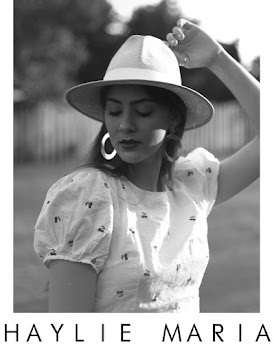 who are you: I'm a film graduate and a lover of books! The dream is to combine these two passions one day. fave reads: Super into fantasy/scifi! My imagination just booms in these types of written environments. weird fact: I like food puns and I'm starting to collect many pairs of glasses. who are you: I'm a writer who blogs about books and loves to share my love for the written book. fave reads: I love contemporary romance, especially in young adult. weird fact: I sometimes act out scenes from the books I'm writing in the shower. Volume control is important. 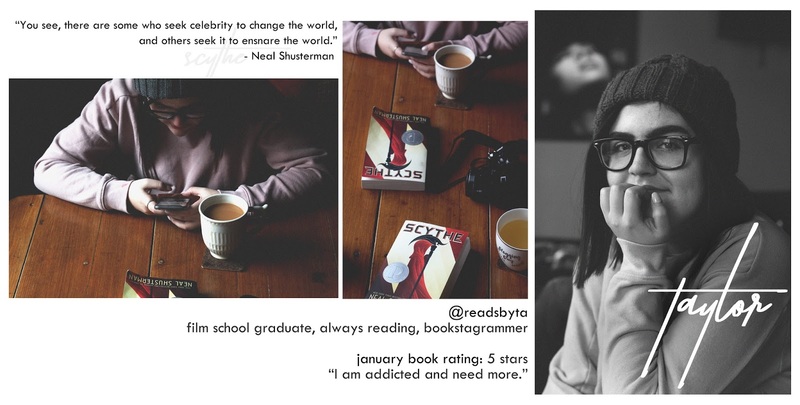 This time I'm bringing you our January read and to start this whole thing off we have Scythe by Neal Shusterman, a gripping science fiction novel set in what seems like a utopian time on Earth. 2042 is the year when death is considered unnatural. That's right, by that year, humans have overcome death by natural causes and the medical system can even revive someone from being absolutely dead. Along with curing death and eradicating all disease, they can turn back your physical clock and make you 25 again. With no death, age, misery, or war, having infinite human lives causes problems with population control so with this advancement comes the Scythedom. Trained scythes are expected to glean (kill) an amount of people to meet a quota for that year to reduce the populous, and that's where our two protagonists come in; they both somehow become a part of a scythe's gleaning. Citra and Rowen are then picked to become this scythe's apprentices even though neither truly want the role. And that is why they are chosen. We had a lot of fun reading this book together and although Dayla of course zipped through it within the first week of January, it turned out to be one of my favourite reading experiences. We respected the no spoilers rule but always were getting each other excited for what was coming up next so when we were all finished and got together to specifically talk about our thoughts on the novel, the room was filled with our energy and awe over this book. Scythe touches on some heavy themes of mortality and what makes us human along with questioning who or what we are if we loose our compassion and morals. The main idea is that even if killing is a job in this world, scythes must not become desensitized to what they do. The Scythedom tries to keep training and recruitment incredibly specialized so only a select few apprentices actually become full-fledged scythes. They can't afford corruption, so scythes with empathy for others become the best ones. Scythes must hate killing, but do it to give the rest of humanity a better life. We see that the most worshipped and praised scythes are the ones who create their own methods of gleaning and coping with the process. Usually, these styles are quick, humane and reassuring to the families that looses their loved one. This book is filled of quotations that directly question where our society is going with the advancements of technology and evolution of ideals. With infinite life spans, are humans able to be happier and live more meaningful lives? One would suspect so, but without a time limit, human choices would seem to be more about instantaneous rewards and less about working towards a goal. And on the subject of love and raising a family, what happiness does one feel about making a life with a loved one when they have the time to have multiple long-term marriages that simply end when they are bored and tired of them? Shusterman truly introduced every form of technology as if the reader already understood and lived with it, which I appreciated and made the book feel more like science then fiction. Reading Scythe honestly provoked so many questions to actually research within science forums like futurism.com. I strongly believe that science fiction is important to our world to inspire where we can end up in a utopian future or what we can change to avoid a dystopian future. All and all, this was a perfect start to January 2018, because every day concepts like these are being considered and questioned by science. Is it possible to get to this advancement in our world in 30 years? I wouldn't put it past the minds of our generation. If our only strength on this earth is to constantly evolve and change, then I firmly believe that at some point we will be baffled by the fact that we might not have survived what they used to call "sickness". P.S. Lucky for us Thunderhead (Arc of a Scythe #2) is now available! 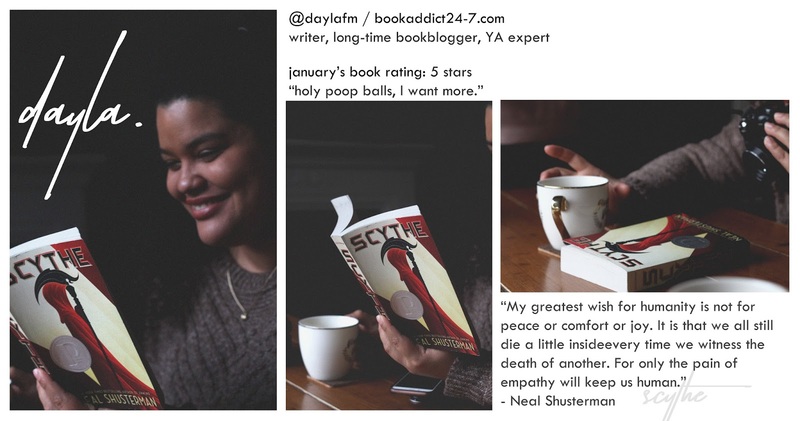 Dayla already finished it and gave it 5 stars & claimed it was better than Scythe. I am ready. Follow #TDHbookclub on Instagram for our next novel choices and updates! Haylie's rating: 5 stars "I'm feeling so many things right now and dying!" Taylor's rating: 5 stars "I'm addicted and need more." Dayla's rating: 5 stars "Holy poop balls, I want more." Love this post so much!! Now you've definitely made me want to pick up Scythe!